Mr. Coleman leads UVision360, Inc.’s sales group focused on the US launch of the Luminelle DTx Hysteroscopy System â€“ a unique, highly featured device designed to simplify office hysteroscopy procedures. 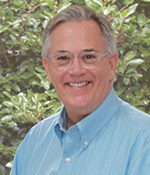 He is also the principal of Coleman Healthcare Strategies, LLC a management consulting company focused on Strategic Account Management strategies for suppliers in the medical device and diagnostics markets. He was employed by the Ethicon and Ethicon Endo-Surgery divisions of Johnson & Johnson for over 30 years in Sales, Sales Management, Strategic Planning and Corporate Account Management. He also served as Director, National Accounts for Integra Life Sciences. Mr. Coleman began his career in medical device sales with Becton, Dickinson & Co.